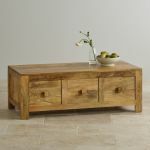 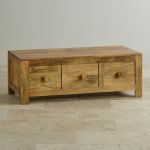 The Mantis Light Natural Solid Mango 6 Drawer Storage Coffee Table is a flagship product in this highly sought-after collection of lounge, dining and bedroom furniture. 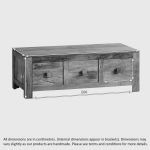 Made using premium solid mango wood throughout, it features a supremely simple design which accentuates the highly varied grain pattern and mixed hues of the wood. 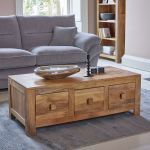 The tabletop offers ample space to serve coffee, afternoon tea or evening cocktails upon and is exceptionally durable with a waxed finish. 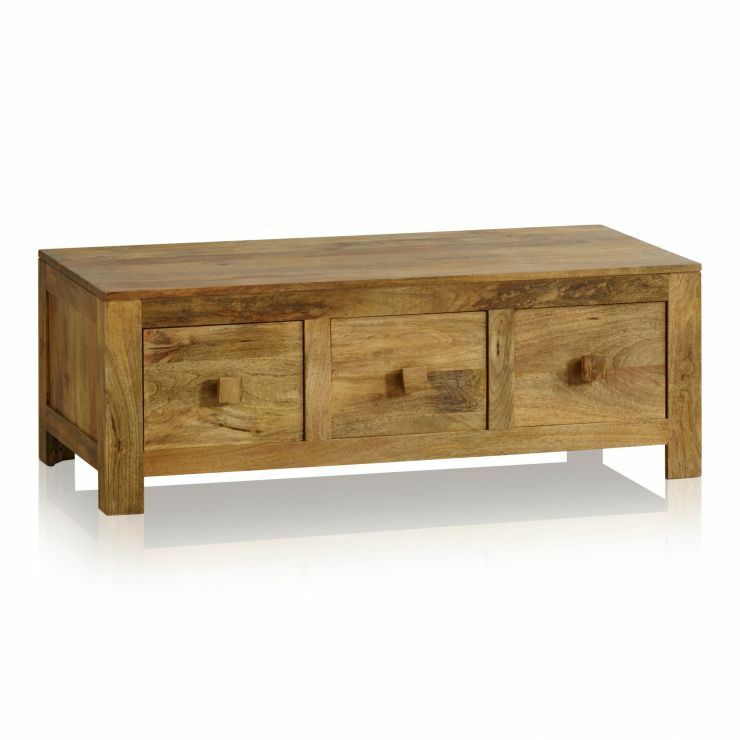 Three deep drawers either side of the table provide plenty of storage space, helping you declutter your living room. 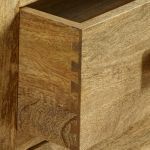 All drawers have robust dovetail joints with solid mango linings and co-ordinating cube handles. 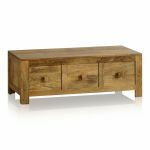 We never skimp on materials and we never use chipboard, MDF or veneers in any of our products - simply great quality hardwood.